Instead, deal 1 damage to each player. Instead, deal 1 damage to each player and 1 damage to each character. 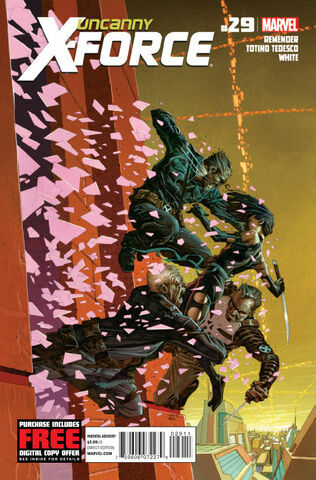 ^ Uncanny X-Force Vol 1 29. Marvel Wikia Database. Retrieved 26 July 2015.